Swag bat | Dirty South Bats - "Use them or lose to them"
is an evolution of the WAR bat, which was our debut bat. Swag continues the unsurpassed performance and pop of a Dirty South Bat. Increased sweet spot for drop 12 and drop 10 continue to give the elite travel ball player the continued confidence of an American made bat. Every Swag is 1.15 BPF USSSA certified. We apologize for making your other brand bat obsolete. Use Them or Lose to Them. Don’t take our word for it, listen to everyone else who has reviewed and used our bats. When will you start? Check out another good review here! Select an option... Yes, I want Delivery Signature. NOTE: ONLY SELECT YES ONCE when buying multiple items. Select “No Thanks” if already applied. (+$5.00) Please do not charge me $5 addition for signature required delivery. I understand that DSB will not be responsible should the chosen carrier prove that they delivered the bat to my address, but the bat went missing (i.e. it was stolen off my front porch). bat is 1.15 BPF USSSA certified. We apologize for making your other brand bat obsolete. Use Them or Lose to Them. Don’t take our word for it, listen to everyone else who has reviewed and used our bats. When will you start? Get some SWAG on the field! Check out another good review here! is an evolution of the WAR bat, which was our debut bat. 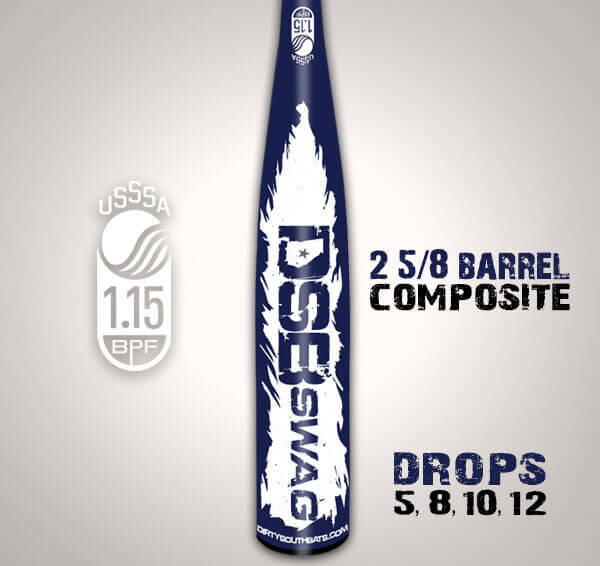 Swag continues the unsurpassed performance and pop of a Dirty South Bat. Increased sweet spot for drop 12 and drop 10 continue to give the elite travel ball player the continued confidence of an American made bat. Every Swag is 1.15 BPF USSSA certified. They are also all American made right here in the Winder, GA. We do not outsource our manufacturing, so you are getting a high quality bat right here in the USA! We apologize for making your other brand bat obsolete. Use Them or Lose to Them. Don’t take our word for it, listen to everyone else who has reviewed and used our bats. When will you start? Check out another good review here! My son was needing to move into a heavier bat and thought I would give DSB a try. Moved from a -12 to a -8 and he liked it from the first swing. Well balanced and he had smooth swings and great bat speed with it from the start. As long as the durability proves to be there then my next purchase will be with DSB as well. 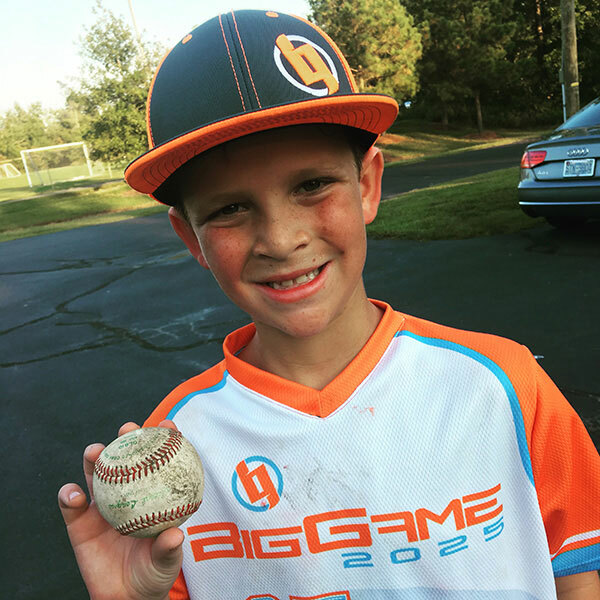 My 11 year old grandson hit his first homerun using a friends DSB in the last tournament of the fall. I purchased him a Swag 30/20 and in first tournament of spring he hit a homerun and a double off the fence. This bat is hot, obviously more pop than any other bat he has used/owned (which is many). His confidence level is very high. We are sold, we will use them not lose to them! Thanks! This bat has some serious pop. Beautiful bat, American made, what else could you possibly want? This will bat will be a game changer for my son’s spring travel season. Very happy with the pop of this bat and have had a few other kids parents ordering them one!!!! My son wanted this bat for his 12th birthday. He got the 32 drop 8. He swung the 2018 CF Zen USSSA last year. I wasn’t there when he tried it out but he said it already has more pop than the other bat. His friend tried it and the coach told me that his friend hit one that probably would have cleared 300 easily. This was the first day out of the wrapper. DSB is a first rate bat made in the USA. We wouldn’t buy anything else. My son loves the DSB Swag. It has enormous pop that you don’t find in other brand name bats on the market. We’re looking forward to the 2019 season to see it’s durability. 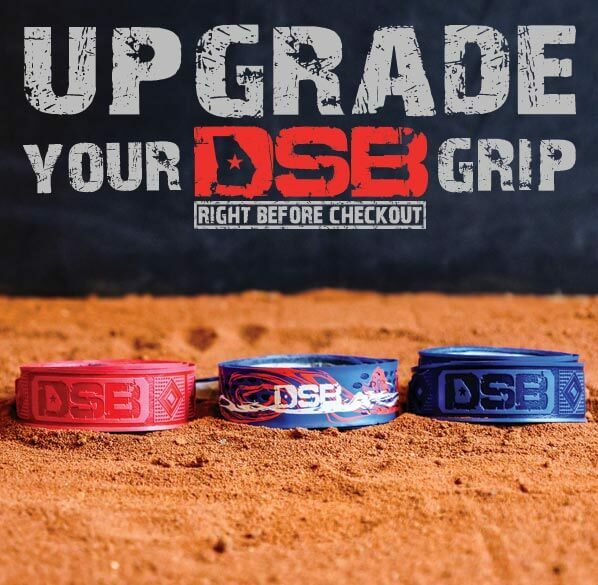 DSB seem to be very durable when we tried out the test bat from them over the fall. Thanks DSB!!! Great bat has a lot of pop. Love the bats balance and pop! My son loves his new bat. Once you break it in, it does great. Good quality bat. I just bought it and so far it is good. Bought a DSB swag for my grandson that plays 11 U.. He loves that bat.. the confidence it has given alone in the pop it has.. he previously swung a Rawlings Quattro no comparison at all.. let’s just say DSB is all he will swing from here on out.. This company is a hidden gem. They make the best bat around. I’ve heard of dsb but didn’t wanted to spend the money. Once I saw it in action and our worst hitter driving out past the outfielders head I knew I had to get one. No regrets on this bat. My only regret is not trying it earlier. I also should had saw the demo program they have. THE BEST BAT AROUND! Without a doubt, the best youth bats in the business. 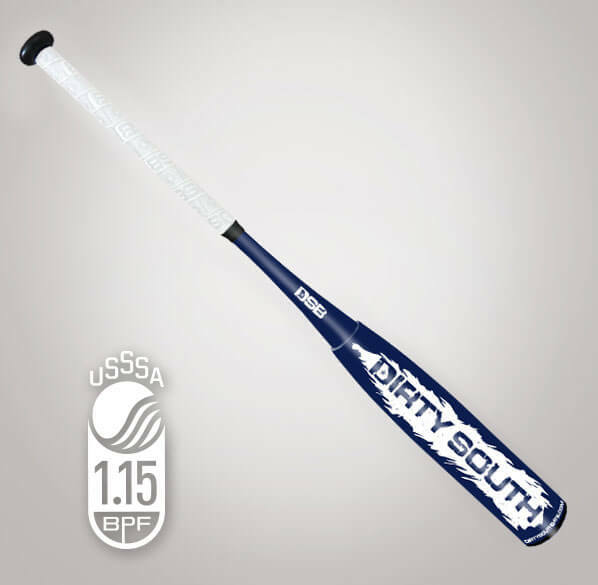 Dirty South brings unrivaled pop and durability. My son (10 years), has tried all the big name bat brands. 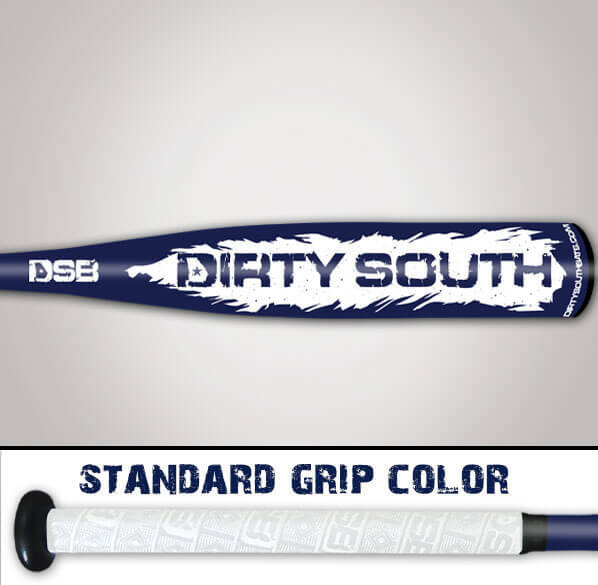 For him, and his swing, nothing compares to the Dirty South SWAG. My only hope is DSB starts making BBCOR bats, so the high school team I coach can swing em. We have a new Orange Kamo BBCOR bat! Check it out on our page! We currently only have one size, but keep a lookout for more! Bought the Swag in a 32/22 for my 11u son who stands 5’4″ 144lbs. In his first AB of our tournament he hit a HR. His 2nd AB a booming double to the fence. I only counted two other players on another team out of 5 teams that were swinging DSB. Neither of which those boys hit HRs. These bats are complete badassery! My son is loving it. We LOVE our DSB Swag!!! My 11-year-old son is in heaven. We were able to get the light weight we want in a USSSA bat, but not only that, this thing has a pop like we’ve never had before in the 5 years he’s been playing t-ball, in house and travel. There’s a bounce to it and the sound it makes is sweet. With same effort the ball propels like no bat we’ve had. I mean, it reflects my kid’s ability, but at the same time…it finally reflects my kid’s ability/effort. We have had all of the major brands in the past. He has already announced that we will never have another brand of bat. I guess we’ll be DSB for life. So far so good, It seems to have really good pop. My 11 year old has only had this bat for a couple weeks so that’s why it’s a 4. Just waiting to see if there is a break in period. But he really seems to like the balance of it. My 9 year old has been hitting with amazing power and increased exit velocity in first 2 weeks with this bat! My 12 yr old son loves this bat, everyone on the team wants one now. A lot of pop and good exit speed. Only used in one game and a couple of practices. Hit the fence twice and a GR double. He and I have total confidence that a HR is coming soon. My son just turned 12 and has a lot of power for his age. He has only played one tournament with the Swag, but bounced one off a 200′ fence opposite field. I was pitching to him in practice the day he got the bat. He hit one chest high up the middle and I had no time to react. Hit me in the chest and shattered my sun glasses that were hanging around my neck. Pleased so far. Bought this bat to replace a no longer available Combat Maxum. Should have done it sooner. Great pop right out of the box. Line drive carry increased 30 ft immediately. Can’t wait to see after bat is broken in. The bat has a great sound that no other composite bat produces. Good bat for table setter hitters and power hitters. The Bat is well balanced and has great pop after the first 400 hits. Purchased two weeks ago, four homeruns in two tournaments with a lot of hard hit line drives. Hot out of the box with the best customer service on the market! Good bat, still in the process of breaking it in, but the kids are really liking it! Huge sweet spot! This bat is incredible! The pop is unrivaled! My 9 yr old son loves it and he can’t wait to use it at the SW World Series over the 4th of July! Carlsbad Brawlers representing the Dirty South!!! Bought this bat for my 7 year old son and he loves it ! Soooo much pop with this thing !! My son loves this bat! Bat broke into 2 pieces today while grandson was batting. I am happy to say the bat was replaced in time for a weekend tournament. Thank you for standing behind your product! Great pop right out of the box! My son is SOLD!! Bought this bat for my son who plays 11u travel ball. Initially he did not see a major difference from his Cat 7 but after roughly 2 weeks on constant practice and games, this bat has significant pop. Just another outstanding bat from DSB. Great pop out of the wrapper. My son has only asked for DSB bats since I bought him the original WAR back in 2015. Hot out of wrapper an love that their aren’t many around where we play!!! My son tells teams that don’t have the DSB “Use it or Lose to it”. He really loves his bat. Thanks DBS you rock? Bought this bat for my 11 yr old. It outperforms any bat he has used in the past. Wish I would have bought it a year ago. Great Bat!! Would buy a DSB over any other brand..
Great bat. Lots of pop with little break in. Excellent choice for youth. My son absolutely loves this bat!! First hit in a game was a ground rule double straight shot to dead center. Next day at practice hit a 260ft bomb that cleared the fence with ease. Played 4 games so far solid contact everytime. So far very good pop. I put 4 because i don’t think it is broke in yet. Very nice bat. At the end of the day the kid needs to have a good swing and make contact! I have recommended / sold 2 other DSB and they like them! Bought bat for my 9yo who plays 11u travel ball. Quality bat with decent pop out of the wrapper but not as balanced as he would like, his favorite bat is Combat Maxim -10. A little end loaded and will take some getting use too. But he likes it and we will continue to be loyal Dirty South customers. I just purchased this bat it’s very nice. But I would have liked to have this option of buying the blue colored one instead of the orange one. Blue is my sons favorite color. I have purchased 2 of your bats within the last couple months. Boy a nice hitting net would be a nice thing to have. LOVE THIS BAT! My son scored 3 HR’s last season. MY SON, WHO PLAYS FOR NEW MEXICO SCHOOL OF BASEBALL, (NMSB) HIT HIS 1ST AND 2ND HOME RUN(S) IN HIS 11U CLUB GAME ON MOTHER’S DAY. IT WAS THREE DAYS AFTER RECEIVING HIS NEW 2017 DSB SWAG SIZE 30, 18 OUNCE, DROP 12 MODEL. HIGHLY RECOMMEND THIS BAT! WELL, I WAS A LITTLE DISAPPOINTED WHEN THE NEW BAT CRACKS AFTER THE FIRST PITCH… YES IT DID! I CALLED THE DSB SUPPORT AND THEY SENT ME A NEW BAT! ALL PRODUCTS CAN HAVE DEFECTS. NOT ALL PRODUCTS ARE SUPPORTED AS WELL AS DSB! THE NEW BAT ARRIVED AS EXPECTED AND HAS PREFORMED BETTER THAT I EVER EXPECTED. I REALIZE THE EASTON MAKO AND S1 DON’T COMPARE TO THE SWAG AS FAR AS CONSTRUCTION AND TYPE. MY SON HAS HAD BOTH OF THOSE EASTON BATS IN THE PAST 2 YEARS, WHILE USING THOSE EASTON BATS, HE HAD A HITTING SLUMP FOR A YEAR AND A HALF… WERE THE BATS THE CAUSE FOR HIS SLUMP? HE WILL SAY YES! HE LOVES THE SWAG AND WILL TELL YOU…. THERE’S ONLY ONE BAT FOR HIM… SWAG! HE LOVES IT! WE USED THE WAR LAST YEAR AND JUST RECENTLY BOUGHT THE SWAG. FOLKS, THEY COULD PAINT THIS BAT FLAT BROWN AND IT WOULD STILL BE THE HOTTEST BAT GOING IN THEIR CLASS. YES THE COLORS LOOK GOOD BUT IT’S WHAT’S UNDER THE PAINT THAT MAKES IT A TOP OF THE LINE PRODUCT. WE HAVE USED THEM ALL AND NONE COMPARE TO IT. IN THE PAST 2 WEEKS MY SON HAS PLACED 2ND IN THE HOMERUN DERBY AND HIT 3 SINGLES, 2 TRIPLES AND A HR IN OUR LAST TOURNEY. EVERYONE ON OUR TEAM IS ASKING FOR ONE. I HAVE ALWAYS SUPPORTED LOCAL BUSINESS AND I AN GLAD I CHOSE DIRTY SOUTH!! MY SON PLAYS 11U PREMIER FOR ANOTHER BAT MANUFACTURER TEAM AND HE IS ONLY ALLOWED TO HIT THEIR BATS WHILE PLAYING FOR THEIR TEAM. WE RECENTLY PURCHASED A SWAG (31 IN. DROP 5) FOR HIM TO SWING WHILE PLAYING FOR HIS MIDDLE SCHOOL TEAM. THE SWAG HAS QUICKLY BECOME MY SONS FAVORITE BAT. EVEN THE BOYS ON HIS 11U TEAM ARE WANTING TO HIT HIS DSB SWAG…..GREAT BAT!!! !